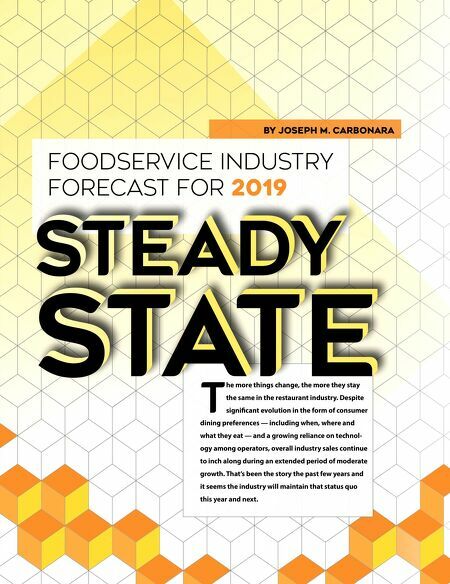 22 • FOODSERVICE EQUIPMENT & SUPPLIES • SEPTEMBER 2018 Foodservice Industry Forecast for 2019 By Joseph M. Carbonara Steady State T he more things change, the more they stay the same in the restaurant industry. 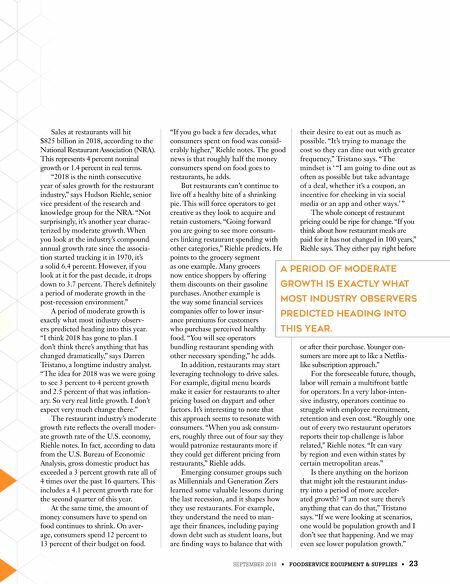 Despite significant evolution in the form of consumer dining preferences — including when, where and what they eat — and a growing reliance on technol- ogy among operators, overall industry sales continue to inch along during an extended period of moderate growth. That's been the story the past few years and it seems the industry will maintain that status quo this year and next.